One of the healthiest, most effective ways to lose weight is to track your progress: keep track of what you eat, what you weigh, and what you do for exercise. That's how Weight-By-Date works. It opens your eyes, so you can see the foods that hurt your diet and the activities that help. It's motivating and easy to use, so you look forward to using it every day. And it helps you lose weight safely and sensibly. 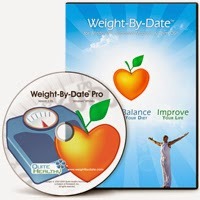 If losing weight is a priority for you, then Weight-By-Date gives you everything you need to succeed and live a healthier life. * Includes 1 year free upgrades + Installation on up to 3 PCs in your household.